Set amidst the luxurious Jumeirah Royal Saray Hotel, a stylish haven for playful indulgence in the culinary scene can be found. Play Restaurant & Lounge has been setting the hype in the island since its opening and just recently, the Bahrain Confidential team put it up to the test. Play’s concept is to allow its guests to socialize and enjoy in an environment that stimulates the senses. The food, on the other hand, is an outstanding reason for coming. 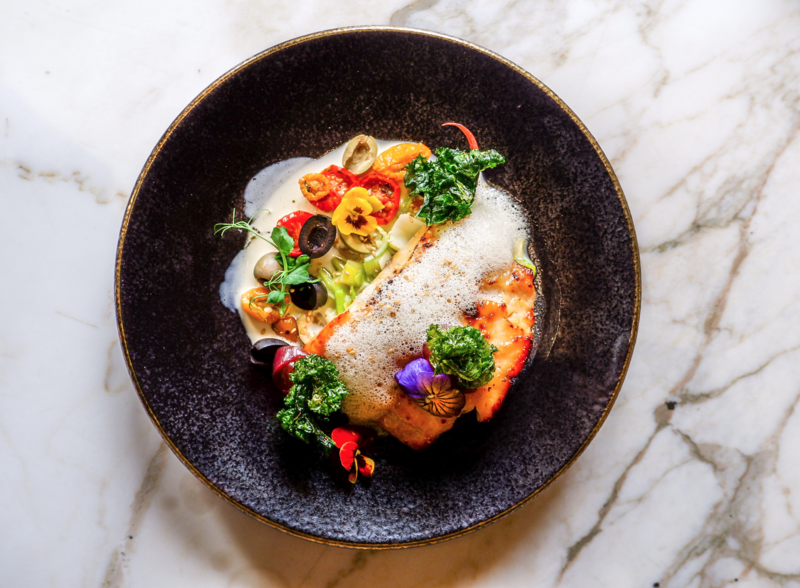 Whether you’re interested in indulging in some light bites or a feast, Play’s eclectic menu is a delight to flick through. Did you know that Play is hiding one of Asia’s best kept secrets just behind the scenes? 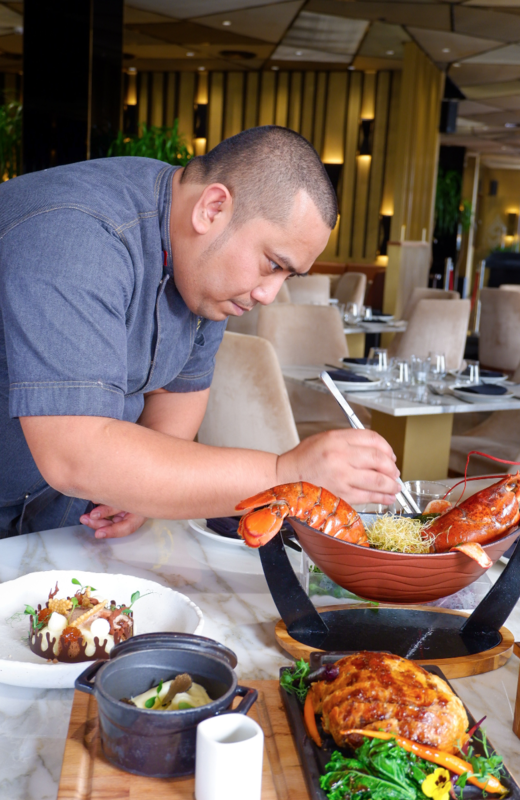 With over 13 years of experience and numerous awards under his name, Executive Chef Meidy Zuhri brings his passion, creativity and exhilarating talent to Play Restaurant & Lounge. Hailing from the land of many wonders, Indonesia, Chef Meidy has established a terrific reputation in the regional as well as international culinary scene. To commence the playful gastronomic adventure, we tried some of Chef Meidy’s recommendations. 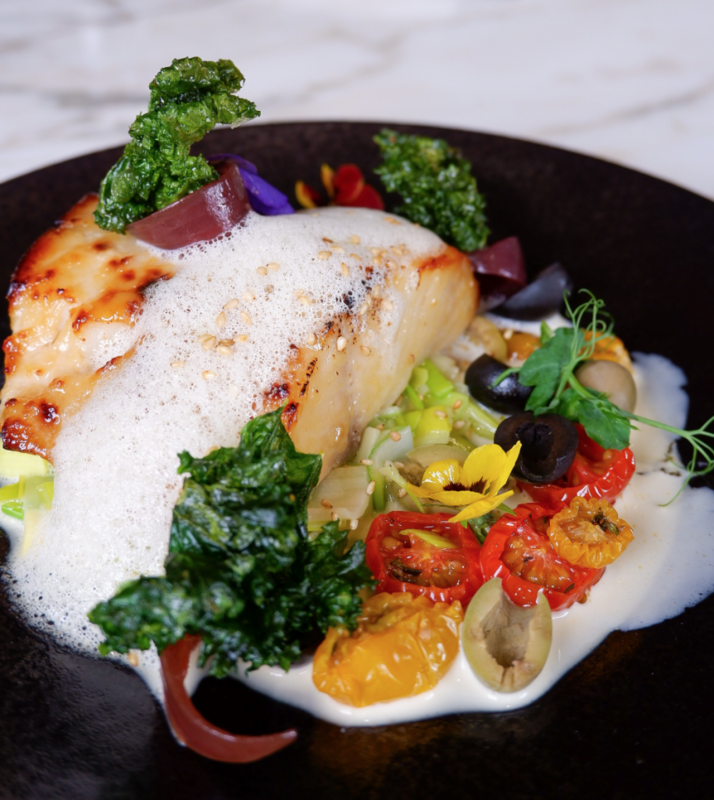 We tried the ‘Play Cod’ which is black cod with a cream reduction. Refreshingly light, savory and perfected with a little tanginess, this miso glazed dish is one of our favourite dishes. Chef Meidy shares that the Play Cod is a hit among their guests and judging from the exceptionally cooked dish, it’s not hard to see why. This masterpiece goes perfectly with a rich Sauvignon Blanc that echoes the creaminess of the sauce yet acidic enough as a palate cleanser for the next dish. Served with a sour cream jalapeño sauce, the ‘Corn-fed Baby Chicken’ with yogurt saffron tickles the taste buds of those trying it. We don’t remember the dish lasting for more than five minutes, yet we won’t forget how each bite was incredibly tender and tantalizing. The ‘Lobster Spaghetti’ isn’t anything less than incredible. Chef Meidy shares how this dish is an honor to his cultural roots. According to him, each part of the the lobster, from its meat to the juice, is utilised on making the dish delicious. To add a twist, fried basil and leek are added. Yum! The beautiful fillet of beef should always be the star of any Beef Wellington. Decadent enough and guaranteed to impress, Play’s take on this classic dish doesn’t disappoint. Pairing this with the merlot dominated wines will definitely hit the spot! Last but certainly not the least, the sweet ending! Chef Meidy served us with the ‘La Roche’ Dessert which might be our new favourite finish in the city. 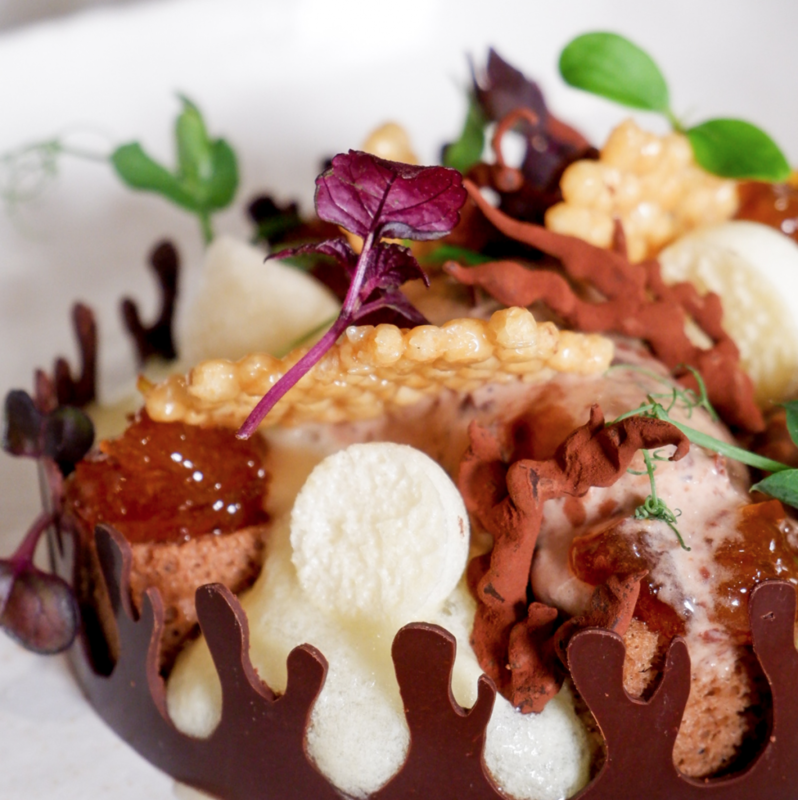 Like some pièce de résistance, it was imaginative and beautifully presented; we almost didn’t want to dig in! However, we’re glad that we did because it was delightful in every way. True to its aim, Play definitely embodies a new approach to feeding the soul as well as the body. Stunning ambiance, mouthwatering cuisine and topnotch service, what more can you possibly ask for? Come and enjoy your day in a PLAYful way!